You can see scores of new-for-2016 products in the free January digital edition of Shooting Industry magazine. The new product offerings are found in a 28-page feature article starting on page 76 and ending on page 104. In those pages you’ll find new items from leading companies such as: Alliant, Browning, Hodgdon, Hornady, Lyman, Nikon, Ruger, Vortex, and Weaver Optics. You can also see the new products in Shooting Industry magazine’s regular website, on the New Product Showcase Page. As a teaser, here are three new products from that page — new Alliant Reloder 16 powder, a new Bench-top primer tool from Lee, and a handy Lyman maintenance mat. We are VERY interested in new Reloder 16 propellant. Alliant says RL16 has a burn rate similar to H4350/IMR4350, which would make RL16 ideal for many popular match cartridges. 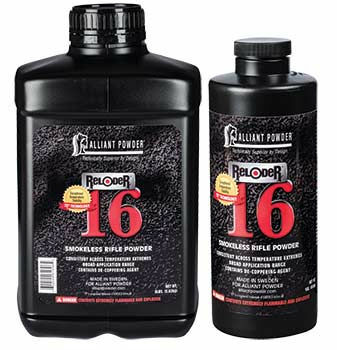 Alliant Powder Reloder 16 is a propellant that performs consistently across temperature extremes. Its burn rate is slightly faster than Reloder 17’s — well within the 4350 burn speed band. This makes it ideal for traditional hunting cartridges as the .30-06 and .270 Win. It will work as well with 6.5mm target loads and tactical applications where temperature stability is required. The Alliant Powder Reloder 16 contains a de-coppering additive but no toxic DNT or DBP. 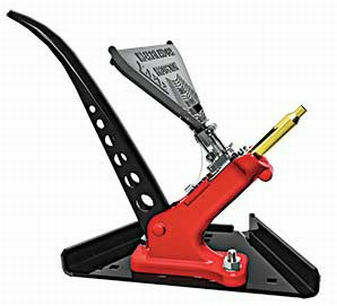 The new Auto Bench Prime from Lee Precision is an easy-to-use bench-mounted priming tool with a large lever that provides good “feel” with plenty of mechanical advantage. The symmetrical design allows for right- or left-hand operation. The Auto Bench Prime includes priming assemblies for large and small primers and a folding tray with a built-in primer-flipping feature. This allows direct filling from large primer boxes. The unit uses special, but inexpensive priming tool shell holders. The new Essential Rifle Maintenance Mat from Lyman Products is a smart item that any gun-owner can use. This 10″ x 36″ cleaning/assembly mat features small compartments for tools, parts, and cleaning item. The mat’s firm yet cushioned synthetic rubber surface protects your firearms. The Mainteance Mat’s molded-in compartments keep small parts and screws handy, yet out of the way. The Lyman mat is chemically resistant and cleans up easily. 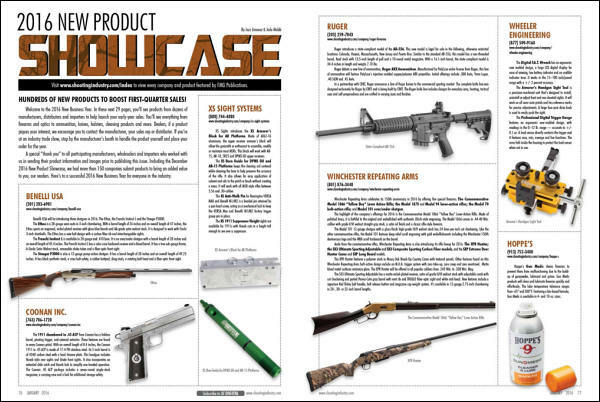 Share the post "New Products Featured in Shooting Industry Magazine"